Every time I take a screenshot and hit the share button, looking for the familiar Dropbox button to upload it, I find it in a different position. The Android share system is a mess. The shortcuts keep changing their positions and there are several unnecessary options available that only make it cluttered and less usable. The problem is that most apps don’t let us decide whether or not it will show in the share menu option. We need more control over this. 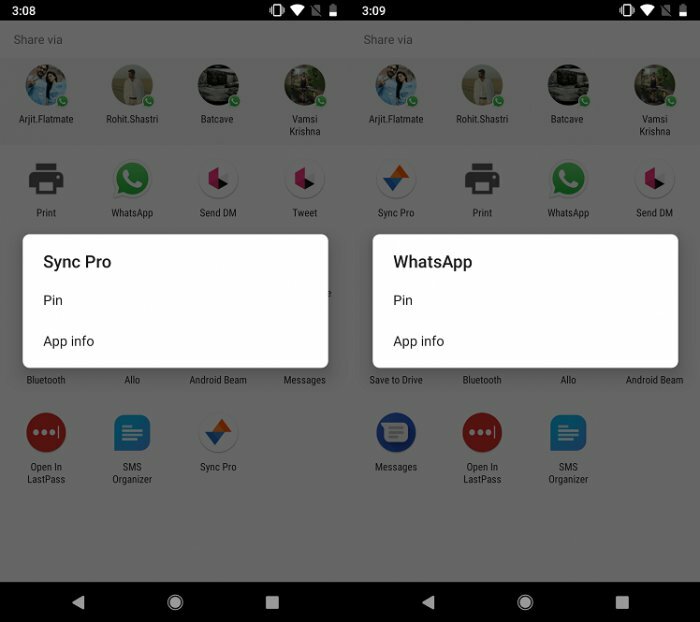 So, in this article, I will share 4 apps and 1 additional but a simple little tip to help you better manage the default Android’s share menu order. It’s time to bring order. I didn’t know about this either. It appears that you can pin your favourite app in the share menu options at the top of the screen. 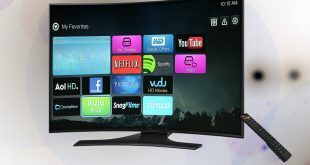 The feature was first introduced with Android 6 (Marshmallow). In my testing, it worked flawlessly on my Pixel running stock Android but not on the Redmi Note 5 running MIUI theme. 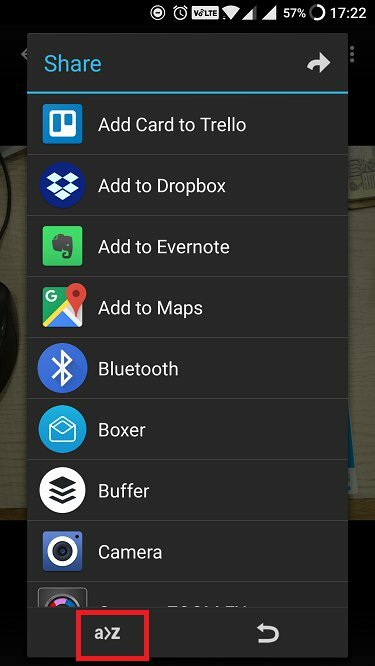 When you hit the familiar share button inside an app, you see a list of shortcuts. The first 2 rows have a grey background while the rest below them have a white background. 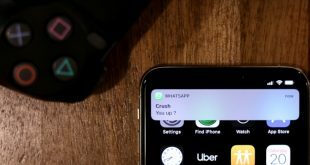 The grey background menu is called Direct Share menu which allows you to send – say an image – directly to a WhatsApp contact instead of asking you to open the app and then select the contact. 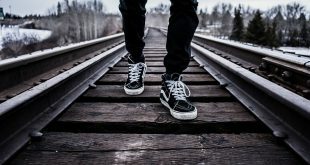 Saves a step. 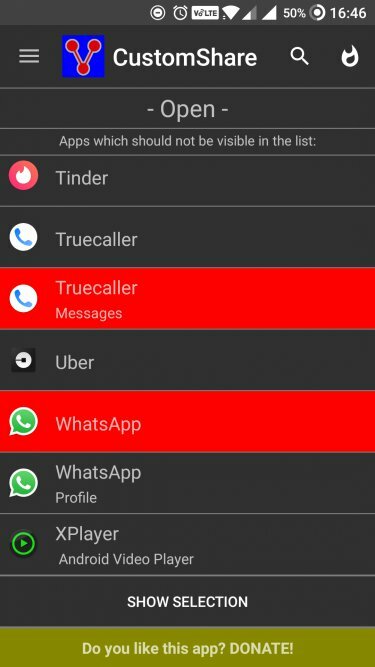 Let’s call the share buttons in the white background as Regular Menu. 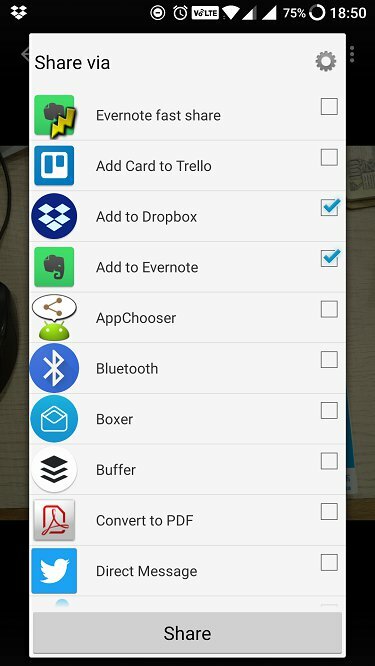 Launch the share menu from within any app. To reorder the Direct Share menu options, simply long press the icon. A new popup will appear with two options: Pin and Share. Click Pin to pin the button at the top of the menu. You will repeat the same process for the regular menu shortcuts with the white background below. Long press and chose Pin. Though the shortcuts will be ordered alphabetically here too, there is no limit to the number of shortcuts you can pin in the regular menu option. Keep in mind that the apps that are pinned will be displayed in alphabetical order. You can only pin up to 8 items in the direct share menu. 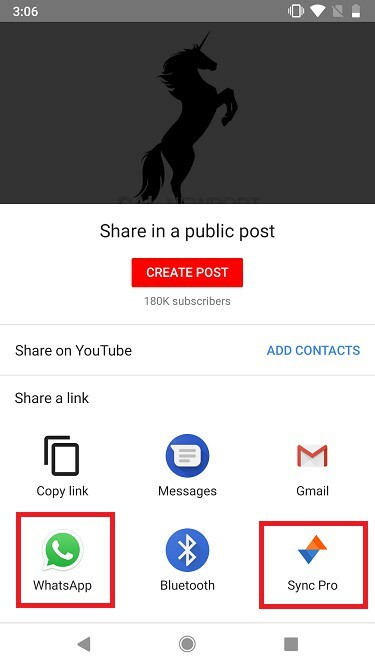 To unpin, long press the share icon again and click Unpin. Note: This method seems to be working on phones stock Android OS only. While it worked on Google Pixel, I couldn’t make it work on OnePlus 2, Redmi Note 5 or Mi Pad. I suggest you try it once and see for yourself. While the above trick will help you organize your share menu shortcuts and bring some level of order, you still cannot decide which app shortcuts will appear in the share menu. It is still cluttered. To counter this issue, install CustomShare, an application that will allow you to select all the shortcuts that you don’t want to appear on your share menu. 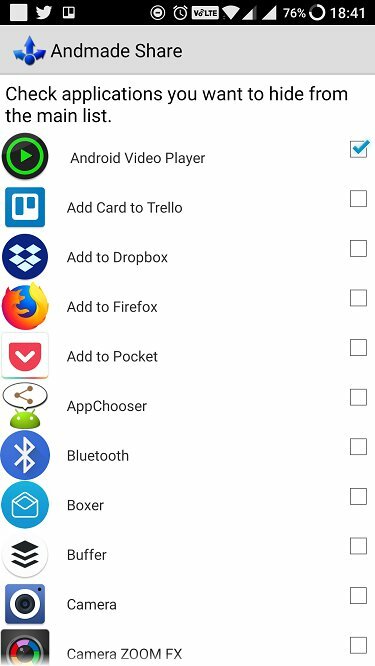 So, say, if you often accidentally click on share icon while swiping on Tinder, and end up unintentionally sharing a profile, with CustomShare, you can remove all the apps shortcuts from the Android Share menu. Note: You need to install Xposed framework from XDA-developer forums to make it work. Remember to back up your device. Use this link if you are running Android 5.0 or higher and this, if lower. How to root your phone and installing Xposed in beyond the scope of this article. 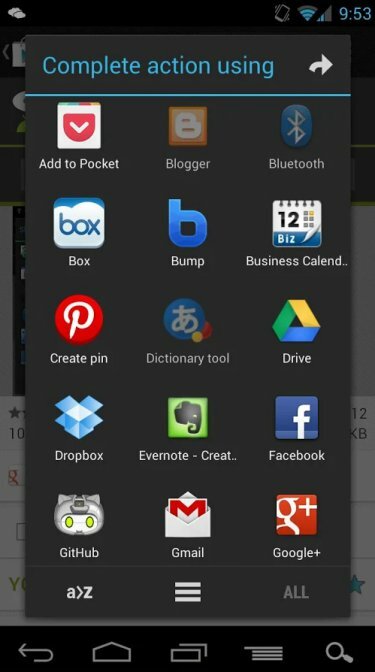 Once you are done installing Xposed, simply relaunch the app and select all the shortcuts and menu options that you don’t want to appear in the Android share menu area. The options you have selected will be highlighted in red. The app is ad-free and runs on donations but looks ugly and the UI is very dated. Another issue is that your device has to be rooted to use this app. If not, then I suggest you take a look at the below options. 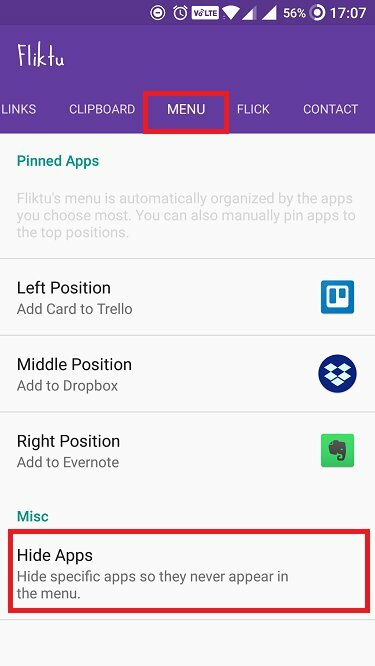 Fliktu will replace the default share menu in Android with a sleeker sharing menu. 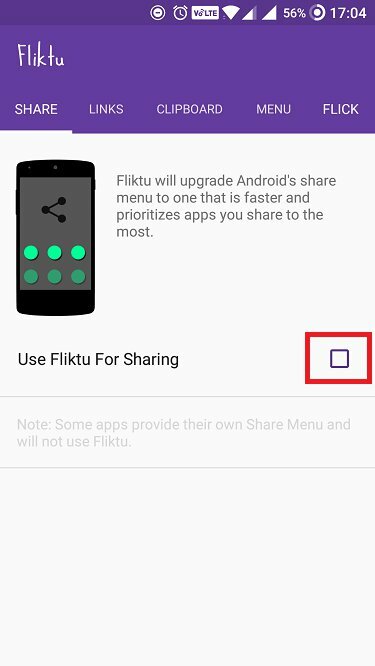 They named it Fliktu because you can launch the share menu simply by giving your device a small flick. Works really cool and saves a click. You can use Fliktu to also share links and clipboard via the share menu. The app has different tabs. Go to Share, Links, and Clipboard tabs to give the app the necessary permissions to replace the default share menu. Just click the checkbox. Under the Menu tab, you can choose up to 3 shortcuts to be displayed at the top of your new share menu. I wish there were more options. In the same tab, you will also find an option to Hide Apps. 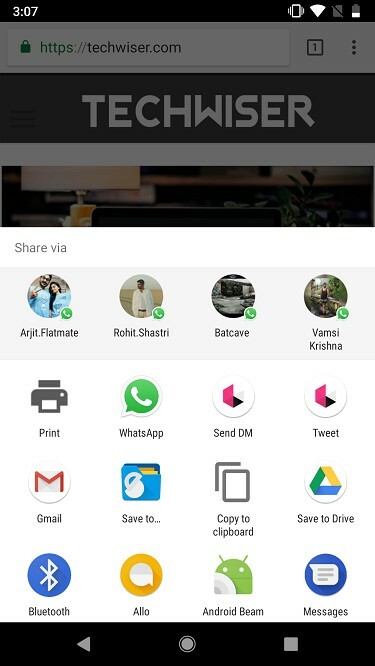 You can use it to hide all the unnecessary shortcuts and options in the Android share menu that you never use. The good thing is that the app works amazingly well, but the bad thing is that the developer has abandoned the project. It is a “side project” for him, but as long as it works, I am happy. AppChooser takes a different approach when it comes to UI and arrangement of share menu shortcuts. When you install the app, you won’t see any shortcut to launch it. The only way to access it to try and share something. When you do that, you will be asked to choose to complete the action using either AppChooser or default Android menu. Choose the former. The apps that you use the most will begin to show at the top after some time. You can change the order of the shortcuts in alphabetical order from A to Z or Z to A. If you want to hide certain share menu shortcuts, simply long press on the icon to reveal the popup. The app will be hidden from view but can be restored using the reverse arrow on the bottom right of the screen. There is a pro version of the app available on PlayStore for $0.99 which improves upon the UI by showing 3 columns instead of one. The ad-free app works fine as advertised but once again, it seems like the developer has abandoned the project. The last update was made in September 2012. I am not sure why such a useful app is not being supported any longer. 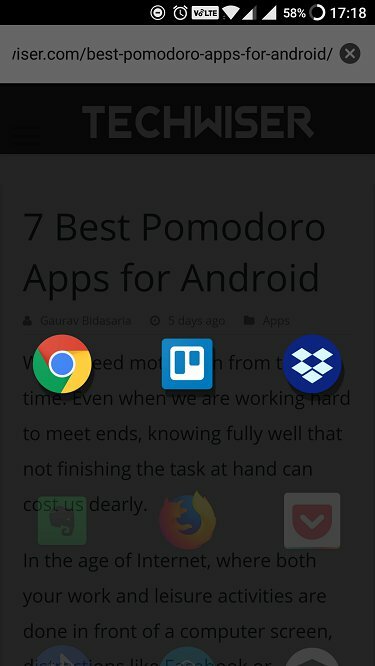 Unlike the previous apps mentioned in the list, Andmade makes it easy to share something with more than one application at the same time. This really saves a lot of time. Apart from that, you can reorder share menu list items by dragging and dropping them and hide shortcuts that you don’t want. Launch the app and go through the tutorial once. Hit the “Hidden apps” option to see a list of all the shortcuts and hide by checking the checkbox on the right. One cool feature that I really liked was the option to set a default email ID. Now, you can directly hit the share button and send an email to the default ID with the click of a button. The option is right below hidden apps. You can reorder the list of shortcuts only when you enter the share menu by sharing something from within an app. There you can drag and drop. You will see a checkbox for each shortcut. There is a pro version ($1.99) that will offer additional features like the ability to group multiple apps to share items at once, fast share option for Twitter, Facebook, and email, and clipboard option. Once again, the app was last updated in 2013, however, continues to work just fine so I guess there are no issues. It also tells me that maybe, nothing has changed in the share menu part of Android for a long time which is why no one is bothering to update their apps. 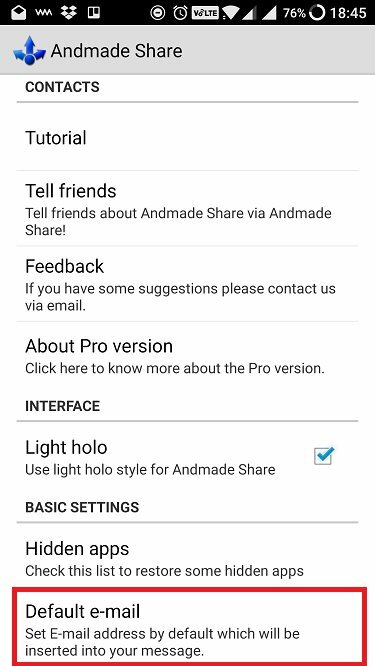 I like Andmade Share because it is the most feature-rich app of the lot with advanced options like fast share, share to multiple apps, reorder, and hide apps. The default email ID is a cool little feature, and you don’t really need to upgrade either.